So, I shared my idea with Hannah, and she accepted right away! I mean, how cool is she right? So without making you wait any longer, here’s my Vlog Interview with the amazing Hanna Jayne, debut author of Under Wraps (March 1st, 2011)! Loved the vlog interview Tynga! I really hope you do more of these as they are so fun to watch!!! My favorite part of the interview was the this or that hehe :). I think we can both agree that Cats rock ;). Under Wraps is an awesome novel and I really cannot wait to read the next in the trilogy!!! I'd love to be entered! thanks for hosting. this book sounds really good. I'd like to read it. I just had to comment!!! This was so great. Now I just want to play it again for your accent Tynga. Loved your interview. It's nice to get to see the face behind the book. I love stories that are based in the bay area, and close to home. I will be putting this one on my list. I can't play the vlog because of sloooooooow internet connection- but I would love a copy of this book. Thanks for the giveaways. What a great idea for an interview! I loved the Vlog, it was really fun. I've been hearing great things about Under Wraps, and the more I hear about it the more I want to read it. I hadn't added it to my wish list before, but I am adding it today. I would love to win because the book sounds fantastic. What a fun way to interview! I loved the Vlog interview what an original idea. 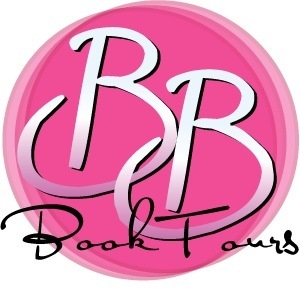 I just added three more books to my evergrowing list thanks to her her picks for favorites. 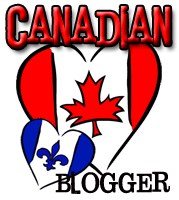 I have to admit, watching a blog makes me feel a little voyeuristic, even though there's nothing pervy going on. I want to win this book because I want to read about those bad tempered fairies and love struck trolls. I like this kind of interview. You should of asked her what kind of doughnuts her heroine likes. Cause yes, that matters . I want this book because I am the mother of a teenage daughter and I need the escape! ;) If I don't win, I *will be buying this book! Wow love the Vlog interview..such a awesome idea. I've been hearing about this book for a while so it would be great to get a chance to win it. Loved the Vlog...very fun! This book sounds absolutly fantastic! 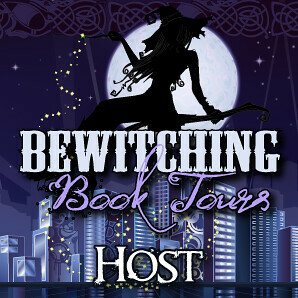 I have added it to my ever growing TBR list! I enjoyed the vlog, the only problem is that I sometimes sneak read the blogs at work and I wouldn't be able to do that if it's in this format. I'd love to win the book for two reasons, first because it's set in the SF Bay Area so it's local for me, second, because one of the books Hannah mentioned was a favorite of mine last year - A Cast Off Coven by Juliet Blackwell. I love her books (the next one is out in June). What a FUN way to do an interview! Great idea! Oh and why do I want to read it? This is my kind of book! I really enjoyed the vlog interview! I think it's definitely more interesting than 'reading' an interview. As for why I want to win Under Wraps, it sounds like the kind of book I would enjoy. I love the idea of the Underworld Detection Agency! Would love to see this agency in action! I really enjoyed the vlog. I liked the part of actually seeing the interview. I would love to read this book, it looks like a great read!! Great interview. Thanks to both of you for taking the time to do it. The book also really sounds great. Cant wait to get the chance to read it. I really liked the VLOG. It is a great idea. Book sounds amazing! I really can't wait to read it. Nice change of pace with the vlog interview. I like it. I've been hear/reading good things about Under Wraps. Looking forward to reading it. Great vlog! would to win this, thanks for the chance! I think "Under wraps" has an interesting start, making the normal girl the central character, like the Xandercentric Buffy's episode. thank for the international chance! I love having the opportunity to see one of my new favorite authors "in person". I think it gives a sense of what kind of person they are and if you can imagine hanging out with them. And I totally could! Loved the interview and am a huge fan of the book. I thought the vlog interview was a really great idea! It's almost as if we get to "talk" with the author because we get to see them on the screen. Great interview! I want to read Under Wraps because I want to start reading more adult paranormal books and this one sounds really interesting! Nice touch with the Vlog interview. I'd love to read this book because it sounds badass and funny at the same time. What a great idea!! Love the vlog interview. I would love to win this book. Sounds great! I really enjoyed the vlog interview. I like to hear from the authors about their books. It makes me more excited to read the book. The vlog interview was awesome! I could never do something like that LOL. I can't wait to read this book! Great interview, I enjoyed it immensely :) Not sure what to tell you about why I want to win except I love reading books that are different from the norm. Vlog interviews are always fun!It's better to actually hear a writer's answers and thoughts and see the reaction than read them. 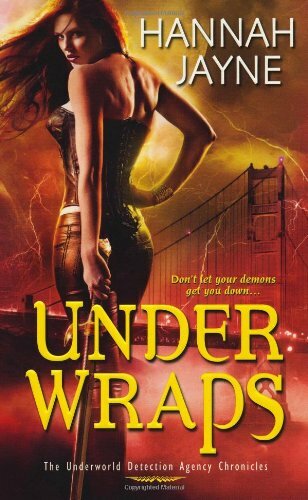 Under Wraps seems like a really good urban fantasy book plus I'm loving the cover! wow....I have never seen any vlog like this. You have edited it very well. Again! I have never seen this book but in this post. Where I have been. I link this giveaway in my sidebar. Really liked the vlog ty for sharing it! I am a UF fan and the blurb sounds really interesting. Loved the vlog ! Getting to know more about Under Wraps . And finding out books that Hannah loves . CAUSE IM GONNA HUNT THOSE BOOKS IN THE LIBRARY! HAHA ! Under Wraps has a very interesting plot . I would Love to read it . That was my first interview vlog, man am I way behind in all this tech stuff. I would have no idea how do that. Thanks to Tynga again, for introducing me and the hubby to another new author, our twofer wishlist and TBR are getting quite large. I personally loved hearing inside stuff about the publishing world, especially what it was like to first get published. Second would be showing and telling us her best book picks. I have been interested in reading this book since it showed up on the coming soon pages. I like UF and seeing how the world works.